The book certainly succeeds in doing this. Anyone who reads this book, assuming they have at least the intelligence of the average 8th grader and are paying attention, will be able to understand a) what a space elevator is b) how it would be constructed c) how it would work d) why it would work (i.e., the physical principles involved) and e) why it is such a great idea. Edwards and Ragan discuss everything from the practical issues one will run into in building their version of a space elevator (for example, you need the capability to get 80 tons of parts into space, assemble them together and then lift it all to the appropriate point in geosynchronous orbit), to where it could be actually be anchored on earth. This latter point is most interesting; the authors specify six locations where the factors of nearness to the equator, lack of storms and lack of lightning strikes favor the location of a Space Elevator earthport; the largest being on the equator and west of South America, but also including three locations in the Atlantic Ocean and two locations in the Indian Ocean. As an aside, I found the maps of places on our planet which have/do not have storms and lightning strikes over the measured period to be fascinating. The book also addresses a common misunderstanding; the example of whirling an object attached to a string around your hand (or head) is often used to indicate how/why the elevator cable would remain straight. This is correct of course, but people often misinterpret this to mean that anchoring the cable to the earth is necessary in order to keep it from flying away into space; as if there are going to be some gigantic clamps holding on to the end of the cable (as the hand is holding on to the end of the string). I still use the ‘object-on-a-string’ example, but emphasize that it is gravity, acting on the entire cable (rather than on just the endpoint) which is holding it in place; i.e. it really is a cable hanging from geosynchronous orbit. This book makes this same point in a very easy to understand way. 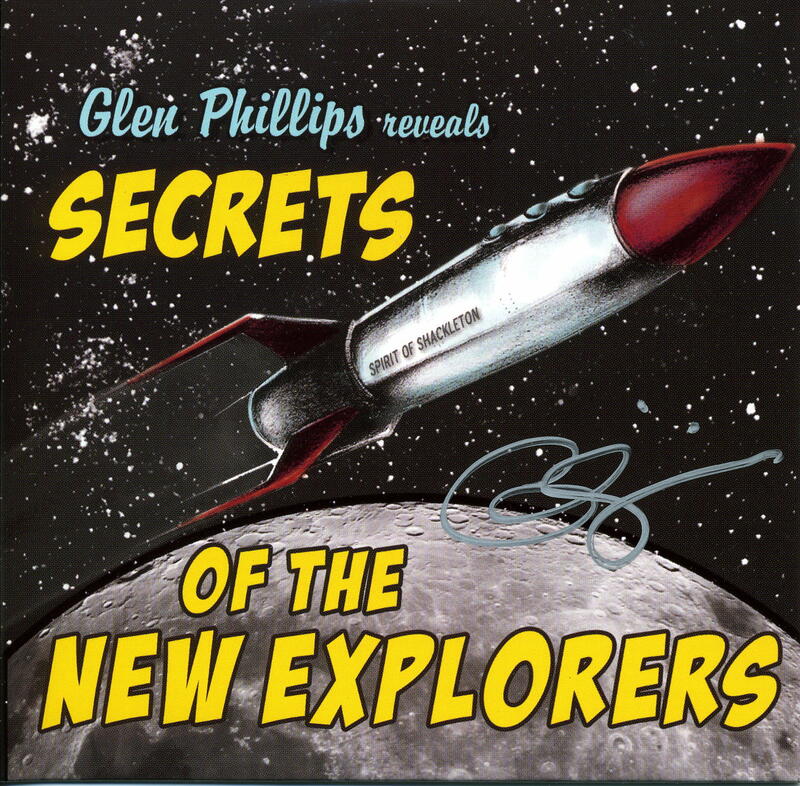 This is truly a fine book and is a wonderful introduction to the potential of a Space Elevator. Highly, highly recommended. Oh, and what’s the difference between this book and the previous effort (The Space Elevator) by Dr. Edwards and Eric Westling? I think you can summarize it this way; The Space Elevator is more technical while Leaving the Planet by Space Elevator is more current. I have both books and am glad I do – I refer to both of them often. 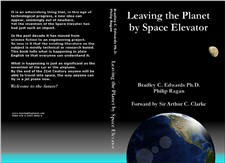 Leaving The Planet by Space Elevator is available from Amazon.com and Lulu.com. For you eBook afficianados, Lulu.com also offers the book in downloadable format. Update January 20, 2007 – There is a website dedicated to this book too – you can find it here. This entry was posted in Uncategorized on January 18, 2007 by Ted Semon. Once a 20 ton climber is placed on the ribbon, the system is then, essentially, in balance. It’s unlikely that the tension on the anchor would be chosen to be equal to the weight of a climber; it will probably be quite a bit more, maybe 50%. Otherwise you’d be endangered by, among other things, wind gusts. In any case, the weight of a climber drops off pretty quickly as it climbs into lower gravity, so it would be in or near balance for only a short period. The memes that the SE is “in orbit at GEO” or “has its center of gravity at geosynch” are misconceptions that need to be quashed, and talking about it being “in balance” lends them some support. The SE is in fact a somewhat complex interplay of tension on the anchor and decreasing gravity and increasing centrifugal force on the mass along its length. Minor factors like the mass of climbers, wind loading, the stretchiness of the ribbon, and lunar and solar gravity also have to be taken into account. Read the book, love it. Highly recommended.